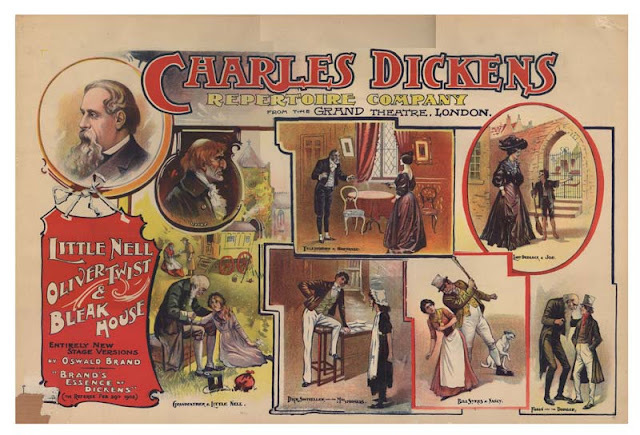 Walsine Pierce: CHARLES DICKENS: The Best of Times, The Worst of Times! 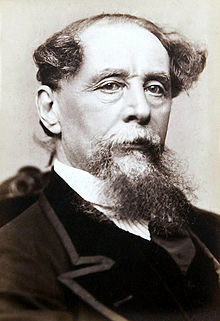 CHARLES DICKENS: The Best of Times, The Worst of Times! February 7th was the 200 anniversary of the birth of Charles Dickens. 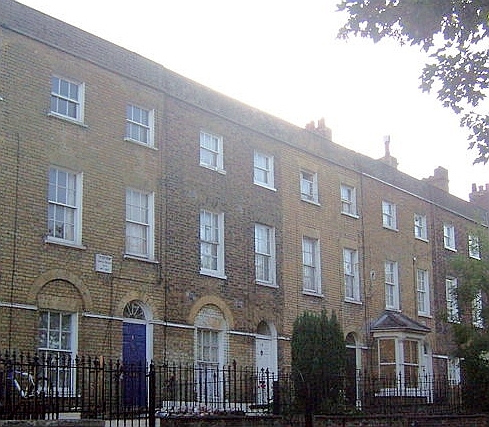 Born in Portsmouth, England, he was the 2nd of 8 children of John and Elizabeth Dickens. His father's pay as a clerk in the Navy Pay Office afforded Dickens a few years of private schooling. Although most of his childhood was a leisurely life in the apartment house below, he did work as a child laborer for awhile. As an adult he would live beyond his means and eventually end up in a debtor's prison for a year. His works were originally published serially in monthly installments. He employed a "Cliff Hanger" technique to keep the public looking forward to the next installment. When "The Old Curiosity Shop" was published in 1841, readers all over Britain and the United States followed the Progress of the heroine, Little Nell, with the same fervor that people today follow that of Harry Potter. When the ship carrying the last installment docked in New York, 6,000 impatient fans shouted out to the sailors on the ship, "Does Little Nell Die?" 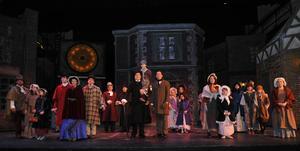 For over 25 years now, my wife and I have been thrilled as we enjoyed Charles Dicken's "The Christmas Carol" at the PLAYER'S GUILD THEATRE in Canton, Ohio. The cost is nominal. The theater props are beyond description. The acting superb! There is not a bad seat in the house. You get to interact with the performers before and after the show. We have made it a special evening, following a dinner, with several groups. None have ever been disappointed. You won't be disappointed, either. IF YOU LIVE WITHIN DRIVING DISTANCE OF CANTON, OHIO YOU SHOULD CONSIDER MAKING THIS PART OF YOUR CHRISTMAS TRADITION AS WE DO. I'M WITH YOU-save the 6 pense and "Let The Good Times Roll!